In 1943, at the young age of 12, Brad Pye, Jr. paid a friend who transported cars to California $5.00 for a ride from his home in Plain Dealing, Louisiana to Los Angeles. 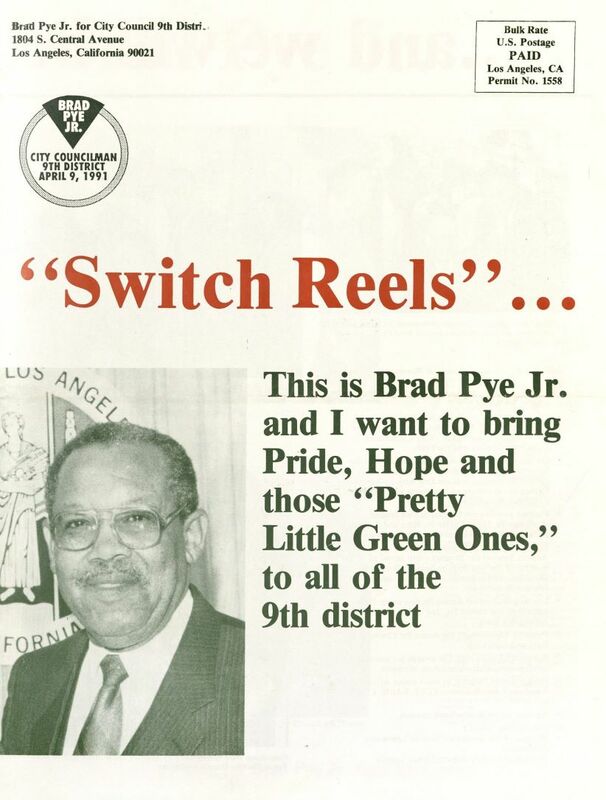 Once in LA,Pye continued his education, completing both junior high and high school while working as a gas station attendant in the evenings. During World War II, housing accommodations were tight, and Pye rented space to sleep on an army cot in a freezing hallway. Nevertheless, he did not let his age or hardships deter him from pursuing his passion for journalism. "Another reason I was so interested in journalism, I used to clean out the Pittsburgh Courier's office which was there in the old Elk's Auditorium on Central Avenue. The editor was Herman Hill. 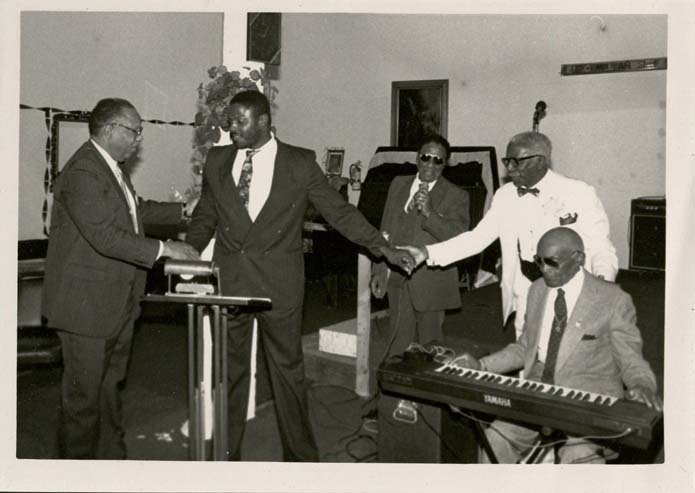 He was the West-Coast editor of the Pacific Coast Edition of the Pittsburgh Courier. And he used to always have a pencil behind his ear. And I went to school with a pencil behind my ear, you know. He was my role model. Finally, in 1949 when I was a senior in high-school, he let me write a column which was called "Scholastic Scribblings." I wrote about the high-school sports and the social events that were going on in the community. It was carried in . . . this was the Pacific Coast Edition. So, it was carried in Seattle and Washington because the Pacific Coast Edition went all over the west coast. So, I just got the bug and I wasn't going to let it go then." 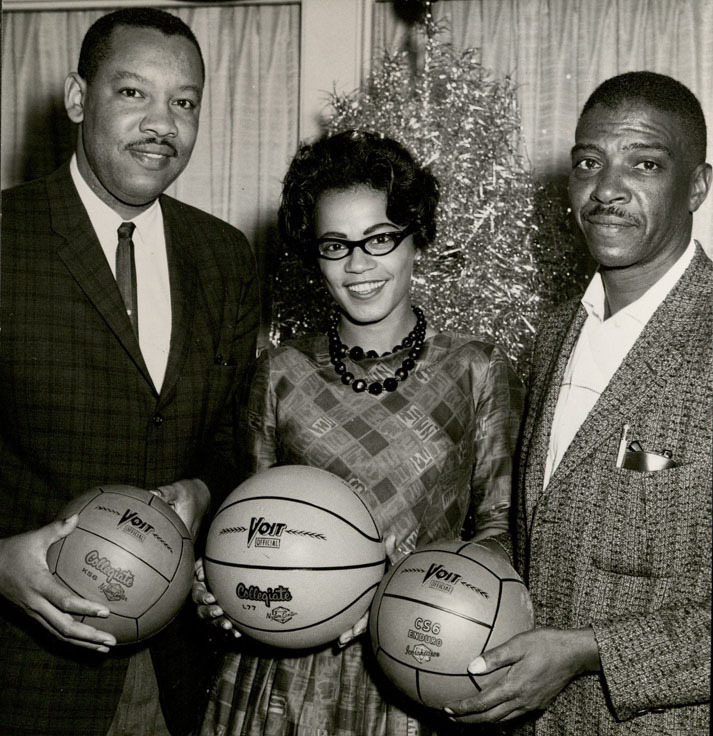 Pye was the first African-American sportscaster in Los Angeles. 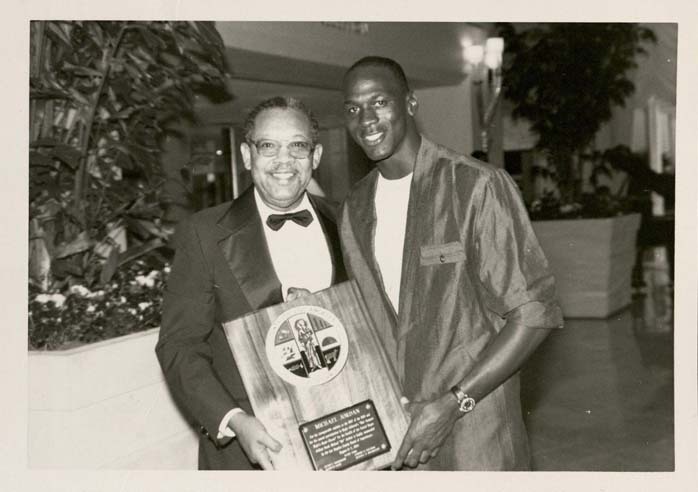 He served as sports director for four major African-American radio stations-KGFJ, KACE, KDAY, and KJLH- and was the sports editor for the Los Angeles Sentinel for nearly 30 years. During his career, he worked tirelessly to establish racial equality not just for journalists but also for athletes, officials, and other professionals in the field of sports. 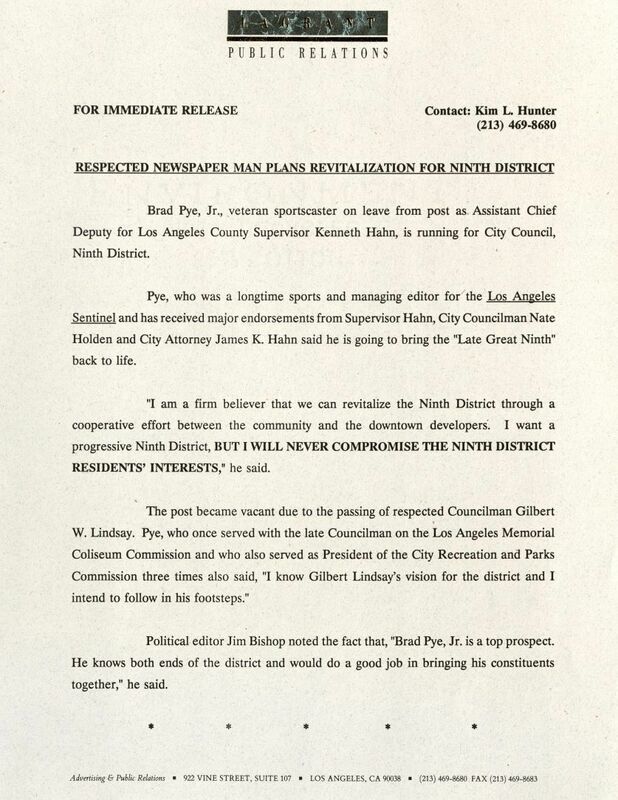 In addition to his career in journalism, Pye worked for the County of Los Angeles where he aided thousands of Angelinos, serving as assistant deputy chief to County Supervisors Kenneth Hahn and Yvonne Brathwaite Burke. Pye retired from the County of Los Angeles in 2011 after 24 years of service. Over the course of his long career he received numerous awards for his contributions to the community and to journalism. On June 22, 2015 he added another honor to his long list of achievements. 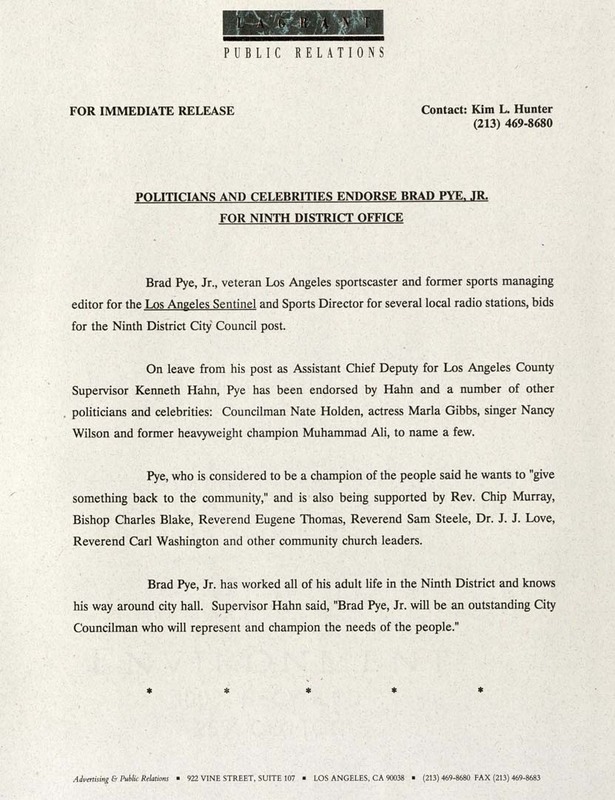 The City of Los Angeles named the gymnasium at Saint Andrews Recreation Center the Brad Pye, Jr. 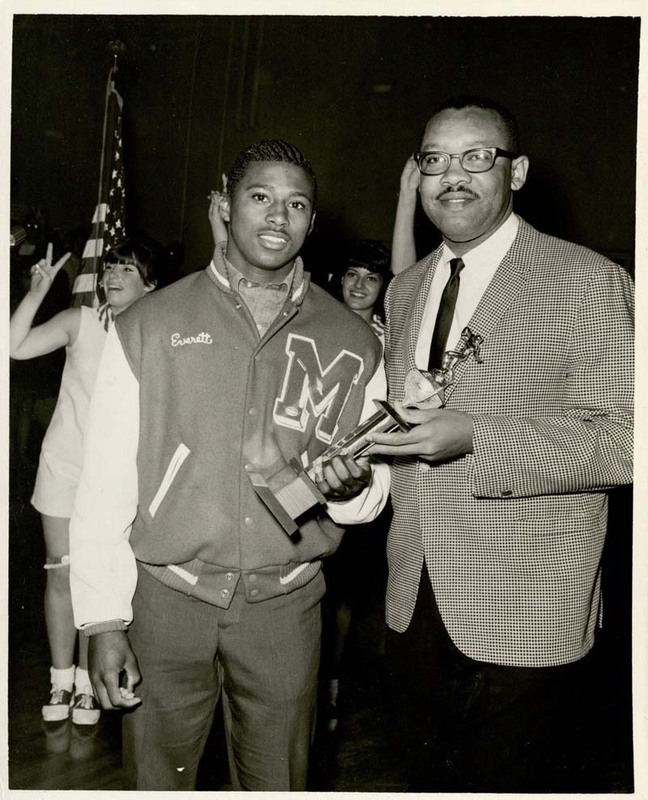 Athletic Center, to honor the man that was the first African-American President of the L.A. Department of Recreation and Parks Board of Commissioners. 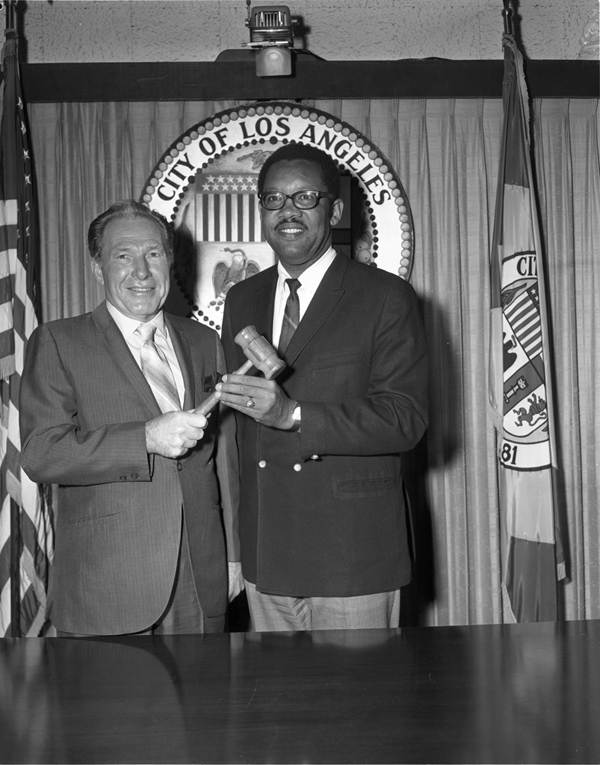 The dedication ceremony recognized his many contributions to the history and culture of Los Angeles. 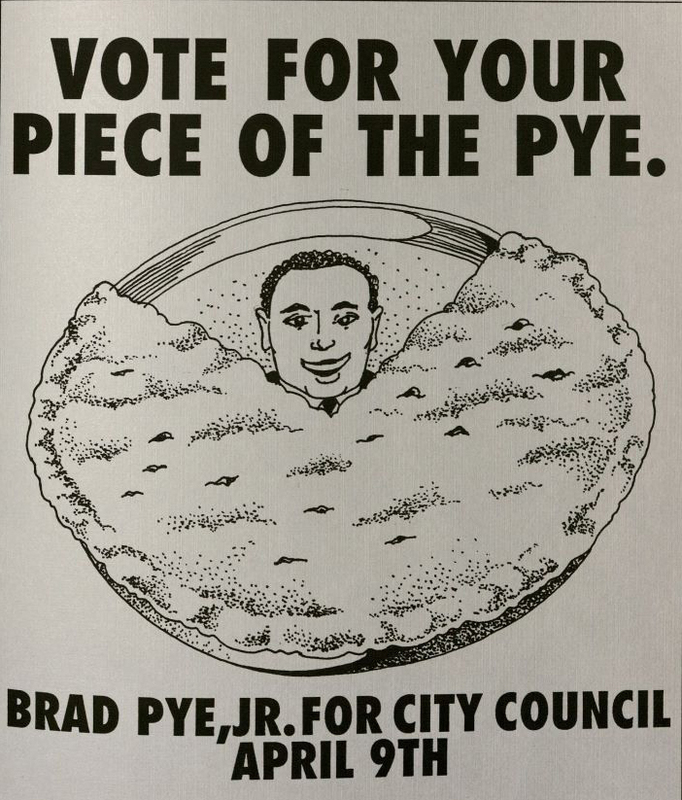 Commenting on the significance of Pye’s legacy, City Councilman Bernard Parks said, "It’s very important to recognize citizens who give of their time, because what we hope is that as children come here and see this sign, they’ll wonder who Mr. Brad Pye is and will do some research and find out what an impact he has made." 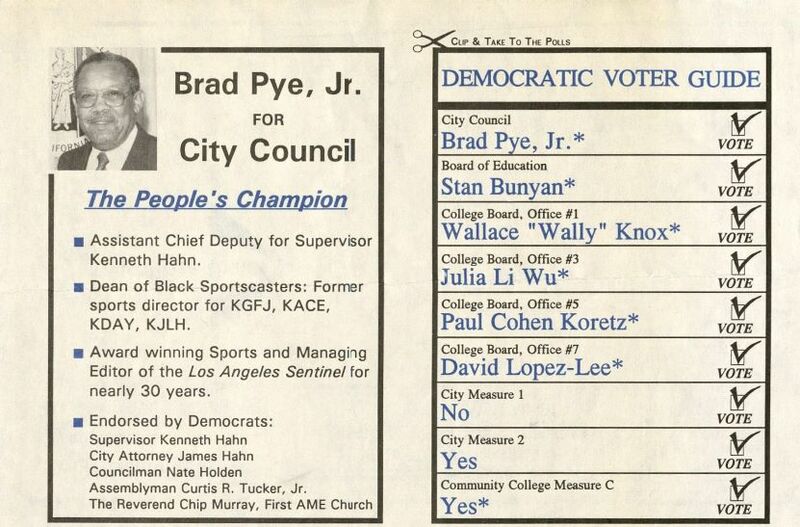 Special Collections and Archives is home to the Brad Pye Jr. Campaign Collection, 1960-1992, highlighting his involvement in American athletics and in the Los Angeles community, including his unsuccessful bid for the District 9 seat of the Los Angeles City Council in 1991. The Tom and Ethel Bradley Center houses Pye's Journalism Oral History. For access to the audio recording and transcript, please contact the Bradley Center.